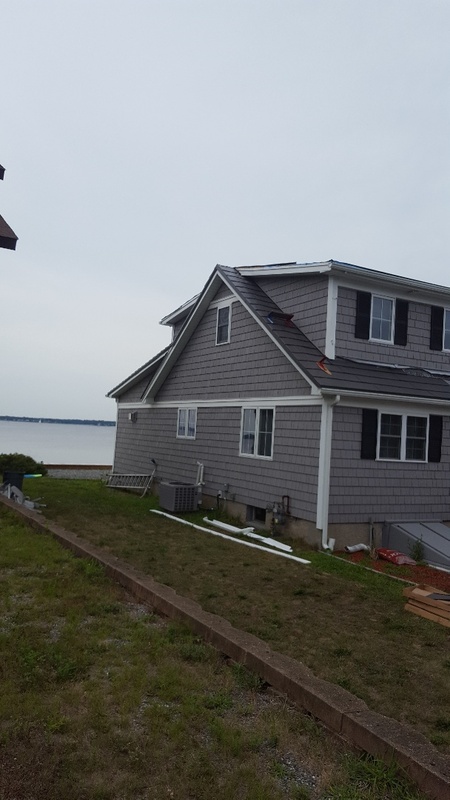 With three generations of experience in metal roofing and over a decade of servicing the unique needs of homeowners in New England, Classic Metal Roofs has established the standout reputation you are looking for to revamp your roof in Warwick, RI. Our aluminum, copper, and zinc materials perform better than conventional asphalt shingles when it comes to protecting your home, and they are friendlier to both the environment and your wallet. Our materials will not rust or streak and will not harbor mosses or insect infestations. Unlike asphalt shingles, our aluminum shingle roofs do not absorb water, eliminating a host of weather-related damages that can easily deplete your home maintenance budget. In addition, our metal roofs reflect more solar energy in the summer and retain more heat in the winter, reducing your use of precious and expensive natural resources. In the interest of providing the highest quality, we do not recommend inferior metal roofing materials like galvalume, as it is too susceptible to environmental stress. Not only do our roofing systems provide the functionality you need, they also make an attractive visual statement in your neighborhood. Our copper and zinc metal roofs are perfect for highlighting architectural details on your home or topping off your storage building or gazebo. Over time, these materials will develop a natural protective patina with a striking appearance. Our aluminum metal shingle and aluminum standing seam roofs are available in several shades of classic Oxford “Slate” and Rustic “Shake” profiles to match your exterior decor. Our baked-on Kynar/Hylar finish provides an attractive flash of color, while adding an extra layer of rust- and fade- resistant protection to your home. We have been serving the New England area for over a decade and would love to talk with you about investing in a metal roof. Don’t wait–contact us at (866) 303-2002 or fill out the form on our website to get a free estimate today! Oxford Slate metal shingle and standing seam.Both in aluminum. 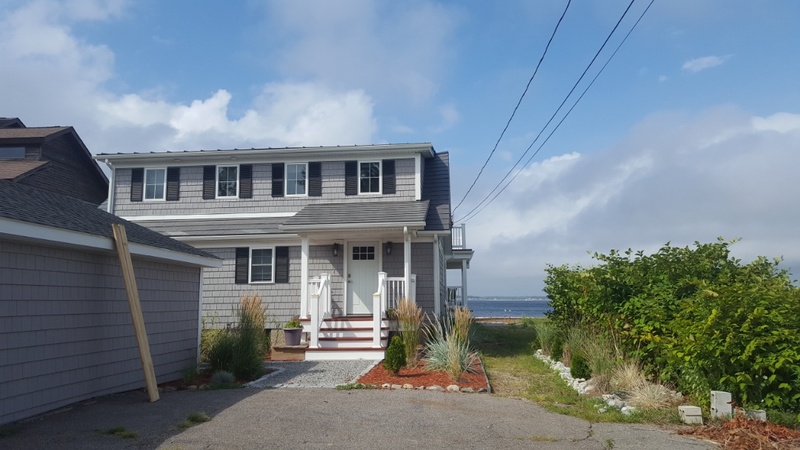 A great choice for this waterfront property in Rhode Island. 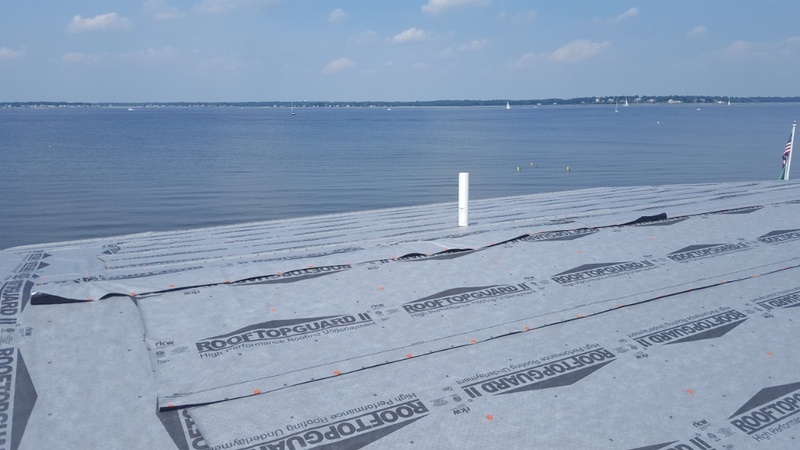 On the water in Warwick Rhode Island great spit for a lifetime aluminum roof. Metal shingle and standing seam going on this one.